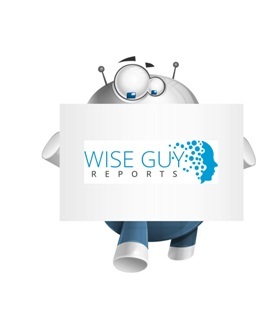 WiseGuyReports.Com Publish a New Market Research Report On –“ Liquefied Natural Gas (LNG) 2019 Global Industry Size, Share, Trends, key Players Analysis, Applications, Forecasts to 2026”. The global Liquefied Natural Gas (LNG) market is anticipated to reach USD 19.73 billion by 2026. Global demand for natural gas has risen significantly and has experienced a premium annual growth of 1.6% between 2015 to 2040. Consumption of natural gas growth is increased from over 3.5 tscm in 2014 to almost 5.2 tscm in 2040. The World Gas Model has scheduled its production dependent on the lowest cost, accounting the transportation to market through LNG or pipeline as well as cost of production that are subject to contractual obligations. Worldwide LNG capacity has increased by 50% from 2015 to 2020, with several new projects currently under construction and ready to enter service influencing the Liquefied Natural Gas (LNG) market. Moreover, another wave of upcoming LNG projects are planned between 2024 to 2030 and the third part from 2035 onwards. The U.S. has been a significant player in increasing demand for this product, with anticipation of hosting six projects up to 2020. Canada is also expected to launch three installation projects for liquefaction all of them in the Pacific coast, two after 2020 and one in 2035. Africa is also expected to play an important role in increasing demand of LNG directly increasing the Liquefied Natural Gas (LNG) market. New liquefaction capacities are planned for set up in Cameroon, Angola, Mozambique, Equatorial Guinea and Tanzania by 2025. A offline capacity is projected to re-enter into services by 2023. Power generation industry has been one of the major demands creating sectors in the recent past with several technology developments for using LNG as fuel. It is a direct alternative to diesel for the power generation industry. Replacement of diesel fuel supply with liquefied natural gas is safe, cost effective and an absolutely clean option. Customers either convert the existing units to dual fuel or replace the existing diesel generators with a gas generator. Industrial and mining markets have been yet another potential application sectors in the Liquefied Natural Gas (LNG) market. It is used as major energy source in many power generation stations worldwide in fluid bed dryers, boilers, furnaces and rotary kilns. Another is the transportation sector, including heavy duty vehicles, ships and even rail. All of these types of locomotive means are great sources of LNG applications. Apart from these, it is safe for transportation as in liquid state it not explosive and cannot burn. In order to ensure safety and the security of all the LNG facilities, safety requirements and industry standards along with the best practices has been designed to mitigate the worst. Liquefied Natural Gas offers the perfect opportunity for the maximum economic transportation and storage of natural gas. As volume of LNG is 600 times smaller than the natural gas state, it can be more efficiently transported over long distances. Hence with such advantages, application segments of the product have been increasing significantly and are projected to continue the growth of Liquefied Natural Gas (LNG) market over the forecast period. The Asia Pacific market is the most potential Liquefied Natural Gas (LNG) market currently with increasing energy demand. Although, the region is a major natural gas consuming market lacks a transparent and liquid LNG pricing benchmark like the one in Henry Hub in the U.S. or the National Balancing Point in the UK. Several projects are under way that will facilate the price discovery in the Asian market. China, Singapore and Japan are currently the region’s developing trading hubs and have also launched LNG pricing indexes to increase the transparency in price formation. Some of the leading industry participants in the Liquefied Natural Gas (LNG) market include Gazprom, ExxonMobil, China National Petroleum Corporation, Royal Dutch Shell, BP, Chevron, Total, Statoil, ConocoPhillips, Eni, Freeport Liquefaction LLC, INPEX, Kitsault Energy, Next Decade, NIOC, Novatek, Petronas, Rosneft, Sempra Energy, Steelhead LNG, Stewart Energy, Veresen, Woodfibre LNG, and Woodside. 6.3. Royal Dutch Shell plc.